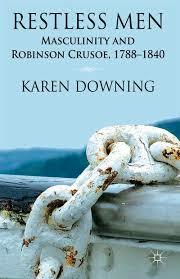 Again and again, Downing finds examples of young (and not so young) men braving the seas to the colonies who identify with Robinson Crusoe, a book that they had read in their childhood which had become a wider part of the contemporary consciousness of the 19th century. Wild escaped convicts (think William Buckley) were dubbed real-life Robinson Crusoes, William Joyce, a young mechanical engineer fired up by the letters he had received from Port Phillip from his brother declared in his memoirs that “I felt I was going to be a sort of Robinson Crusoe” (and so he brought a huge amount of luggage out with him lest he run out! ); explorers called themselves Robinson Crusoe. Defoe’s book itself did not make men restless, but it captured the tension in men’s lives of the time between material circumstance and dreams, traditions and adventures, wildness and domestication. In structuring her book, Downing deliberately eschews a straight cause-effect relationship, and a similarly simplistic here-to-there trajectory. Nor is she treading a well-worn path: her book is an exploration of masculinity that doesn’t engage in the question of separate spheres, or the construction of male identity vis-a-vis women. Instead, she focusses on the ideas of manliness between men. Chapter 1 Confined by the Gout- Perceptions of Men’s Physical Health describes the perception that civilization and industrialization were seen as a threat to men’s bodies, with the health-giving colonies often seen as a panacea. Chapter 2 The Ecstasies and Transports of the Soul- Emotional Journeys of Self-Discovery turns to men’s letters, journals and memoirs to capture the tropes of fiction (and especially Robinson Crusoe) in describing the emotion of leaving home. Chapter 3 My Head Filled Early with Rambling Thoughts- Raising Boys and Making Men examines the theories of boy-raising current at the time. She looks particularly at the literature they imbibed as part of their education that valourized restlessness at the same time as driving them into conformity. Chapter 4 Satisfied with Nothing But Going to Sea- Seafaring Lives and Island Hopes examines a response to this restlessness through seafaring in empire, focussing particularly on island experiences and the Bounty mutineers in particular. Chapter 5 To Think that This Was All My Own- Land, Independence and Emigration grounds (literally) this restlessness into the promises held out for land, adventure and independence by the emigration literature and colonization proposals of the early 19th century. Chapter 6 The Middle Station of Life- the Anxieties of Social Mobility explores the uneasiness between the dreams held out to restless men and the confining, restricting effect of the brittle distinctions of rank and order that were replicated in the colonies. In Chapter 7 A Surprising Change of Circumstances – Men’s Ambivalent Relationship with Authority this ambivalence is extended into an examination of the debates about crime and punishment and loss of autonomy- a particularly loaded debate in an ex-penal colony. Chapter 8 The Centre of All My Enterprises- the Paradox of Families explores the paradox that many of these restless men were, like Robinson Crusoe, torn between wanting to establish and maintain a family as much as they wanted to escape familial obligations. As you can see, this book traverses unusual and unexpected territory. There are themes that run across it as well – adventure, land, independence- with their different and contested meanings. It ranges broadly across a wealth of writing, and while limiting her view to the Australian colonies, her argument works for the other settler colonies as well. Early Port Phillip teemed with these restless men and I’ve met them during my own work on Judge Willis– the young Burchett boys, some of the financial adventurers among the Twelve Apostles, and a whole host of the first generations of Port Phillip arrivals. They brought their restlessness with them, and it affected the nature of a new colonial society. At the same time, I’ve taken her argument and held it against the mobility of the colonial civil servant, and found it a useful counterpoint. This is an academic text but I’m regretful that the expense of this book means that only those with university library borrowing rights are likely to read it: even the Kindle edition is prohibitive- how can that be? It’s a shame, because it’s an enjoyable read in its own right. I’ve reviewed this book as part of the 2015 Australian Women Writers Challenge under the history/biography/memoir category. 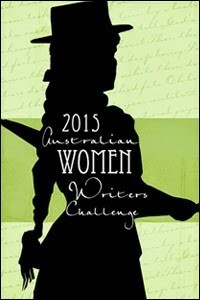 This entry was posted in Uncategorized and tagged Australian history, Australian Women Writers Challenge 2014, Australian Women Writers Challenge 2015, Book reviews, colonialism. Bookmark the permalink. Hi janine – it sounds terrific, but could you give the publication details please? It’s a real trap, isn’t it. ‘Popular’ non-fiction publishers (Black Inc) etc strip away much of the academic structure (footnotes, bibliography) etc. but more people are likely to read it, but when academic publishers set such a high price, it really cuts away at a reading audience. I can’t see my local library, for instance, paying that price for a book that people might read out of interest.